Goa, India (Sept. 29, 2005) - A Rigid Hull Inflatable Boat assigned to the guided missile destroyer USS Higgins (DDG 76) transfers U.S. Sailors to the Indian frigate INS Gomati (F 21) for an exchange of sailors, during Exercise Malabar. Malabar is a joint Indian American exercise designed to bolster relations between our two countries and enable the two countries to work together against a common threat. 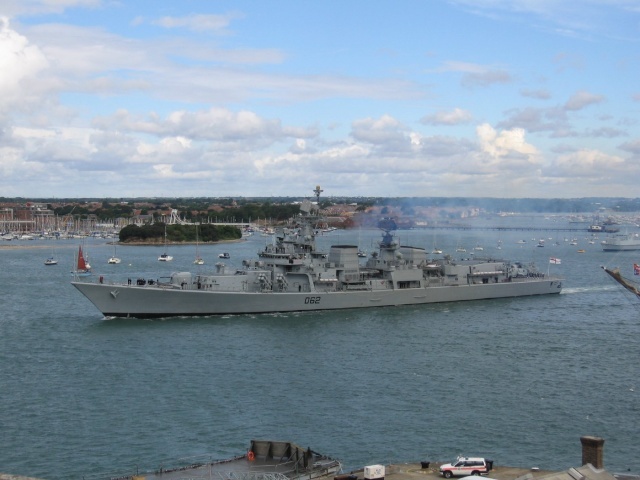 This year’s exercise is the largest to date including two U.S. Destroyers, USS Nimitz and the submarine Santa Fe. 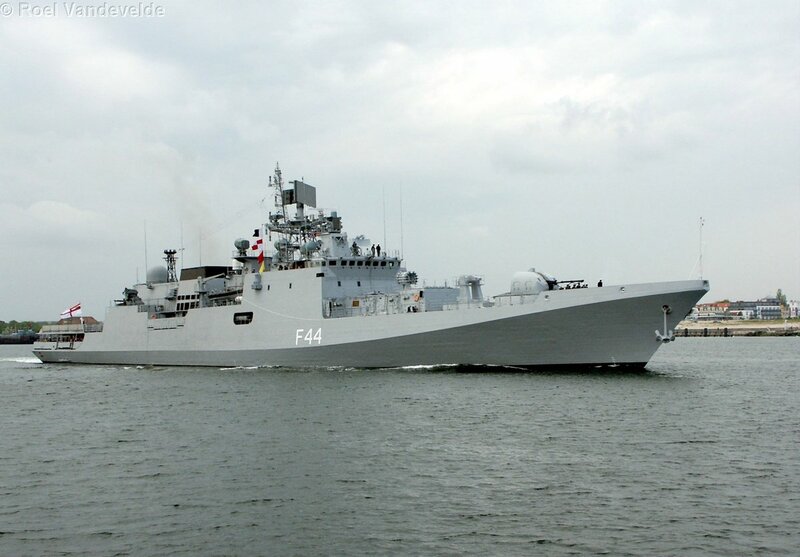 The Indian Navy contributed a carrier, a submarine, a frigate and their New Delhi-class Destroyer. Off the coast of India (Oct. 5, 2004) - A refueling probe from the Indian Navy replenishment and repair ship INS Aditya (A 59), is guided into a fueling receiver aboard the guided missile frigate USS Gary (FFG 51) during exercise Malabar 04. Malabar is designed to increase interoperability between the two navies while enhancing the cooperative security relationship between India and the United States. The at-sea exercise includes maritime interdiction, surface events, sub-surface, air events and personnel exchanges. 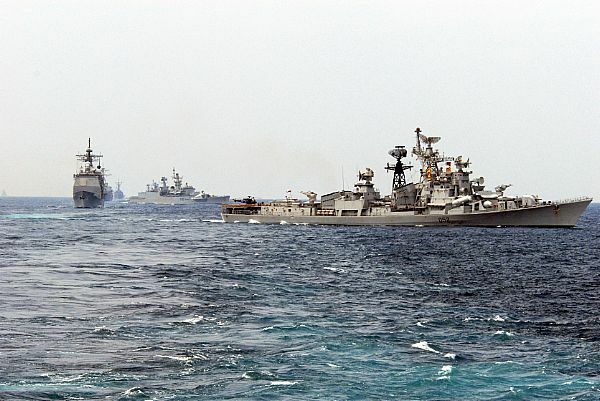 Off the coast of India (Oct. 5, 2004) - The Indian Navy destroyer INS Mysore (D 60) leads the way during the opening day of exercise Malabar 04 off the coast of India. 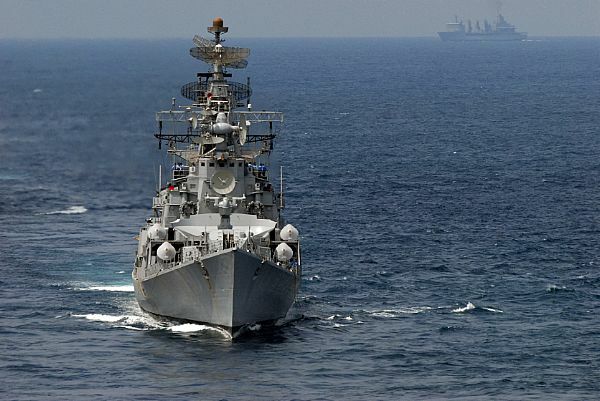 The guided missile cruiser USS Cowpens (CG 63), along with the guided missile frigate USS Gary (FFG 51) and the attack submarine USS Alexandria (SSN 757), are off the coast of India to take part in exercise Malabar 04 with the Indian Navy. 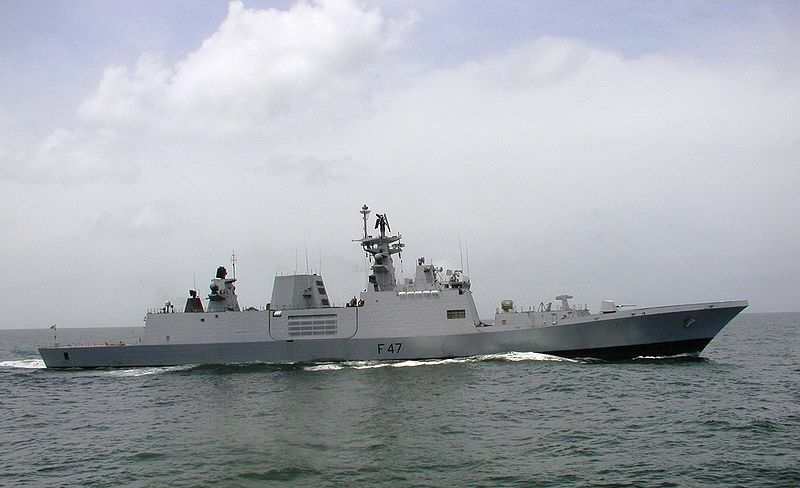 Malabar is designed to increase interoperability between the two navies while enhancing the cooperative security relationship between India and the United States. The at-sea exercise includes maritime interdiction, surface events, sub-surface, air events and personnel exchanges. 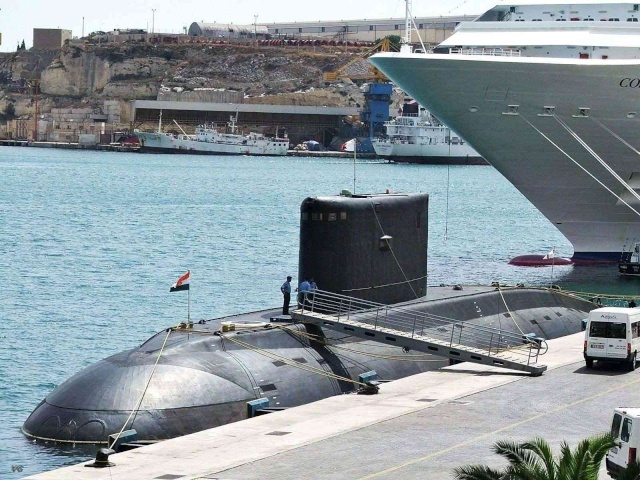 Indian Navy Sub INS SINDHUGHOSH at Malta. INDIAN OCEAN (Oct. 22, 2008) The Indian ship Rajput class destroyer INS Rana (D 52) follows behind the Nimitz-class aircraft carrier USS Ronald Reagan (CVN 76) during Malabar exercise 08. 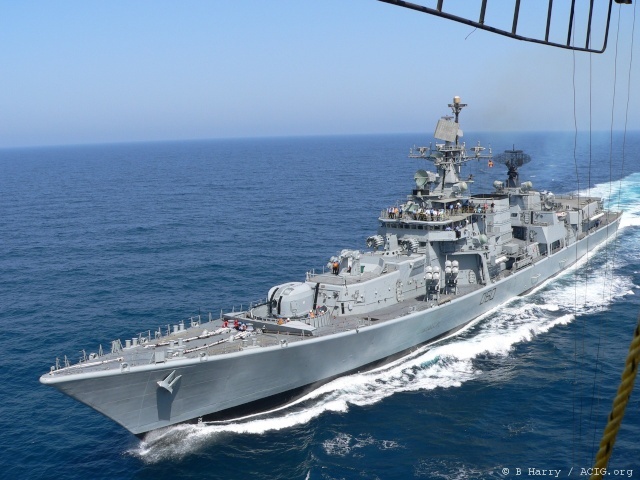 The passing exercise included the Ronald Reagan Carrier Strike Group and India's Western Fleet, sailing in a single-file formation as the two groups received honors from the Indian flagship INS Mumbi (D 62). Malabar exercise 08 is designed to increase cooperation between the Indian and U.S. Navy while enhancing the cooperative security relationship between India and the U.S.
INDIAN OCEAN (Oct. 22, 2008) The Indian ship Rajput class destroyer INS Rana (D 52), of the Indian navy's Western Fleet, leads the break away maneuvering from a passing exercise formation with the Ronald Reagan Carrier Strike Group. The Nimitz-class Aircraft carrier USS Ronald Reagan led the formation as it received honors in passing by the Indian navy's Western Fleet flagship INS Mumbai (D 62), signifying the completion of the three-day exercise Malabar 08. Malabar was designed to increase cooperation between the Indian and U.S. Navy while enhancing the cooperative security relationship between India and the U.S.
La Russie fournira à l'Inde un nouveau lot de 29 chasseurs embarqués Mig 29K, destinés au porte-avions Vikramaditya (ex Admiral Gorchkov en cours de modernisation). L'Inde construira elle-même deux porte-avions, le lancement du premier étant prévu en 2015. 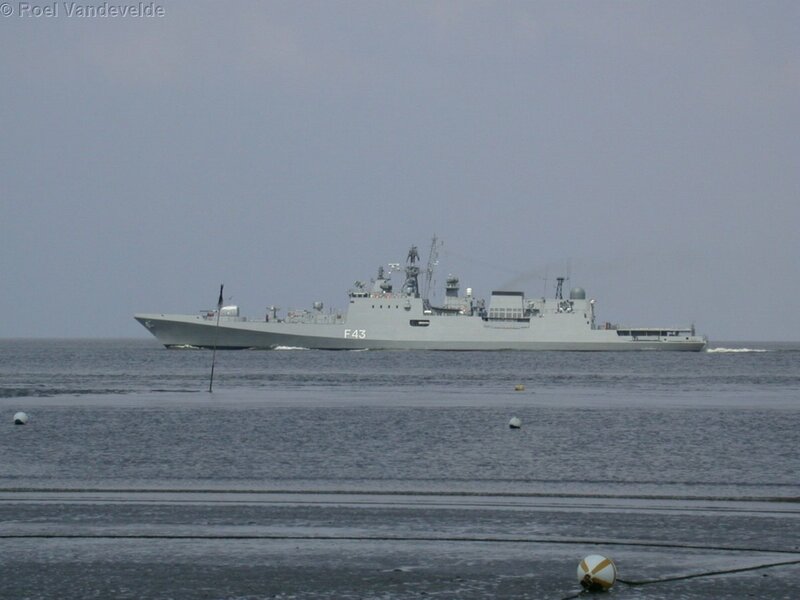 La Russie achève la modernisation du porte-avion Admiral Gorchklov, qui sera livré à l'Inde en 2012 sous le nom de Vikramaditya.